White gold diamond rings are known for their clean look and brilliant luster. However, over time, that shine can begin to fade if the ring gets covered in fingerprints, dust or soap or lotion residue. 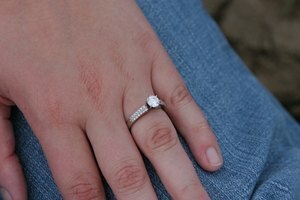 Instead of relegating your ring to a drawer, all you have to do is take a few minutes to clean it to have it looking just like when you first set eyes on it. It’s a lot cheaper than buying a brand new diamond ring. 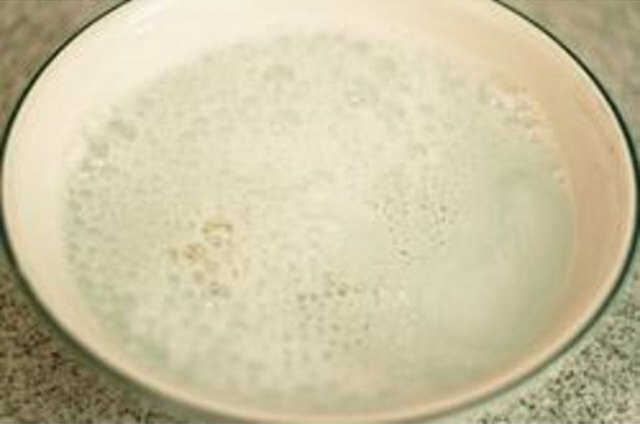 Fill a finger bowl with 1 cup of warm water (not hot enough to be boiling) and add 1/2 tsp. of a mild dish soap, such as unscented Dawn. Stir the solution with your fingers until you see a good lather and all of the soap is dissolved. Put your ring in the bowl and let it soak for 2 to 5 minutes. Lift the ring out of the water and place it on a microfiber cloth. Take a soft-bristled toothbrush or a watercolor brush and use it to dislodge any debris. 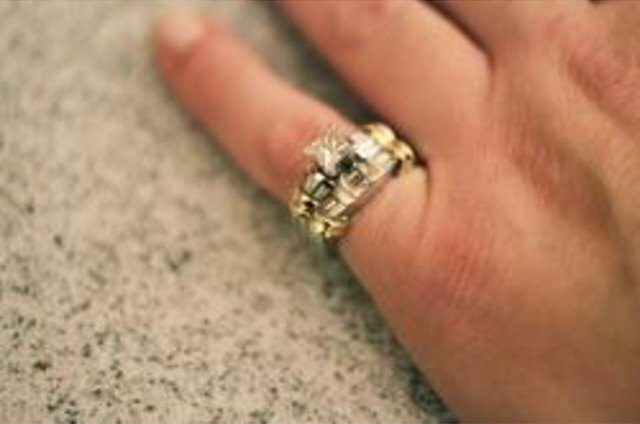 Once you’re done, drop the ring back into the water to wash off any loosened particles. Rinse the ring under the tap using the same temperature of warm water. Turn the faucet on only about halfway and put the stopper in the drain so you don’t end up with your ring lodged in the pipe. Then use the cloth to dry the ring so you don’t end up with any streaks or water spots. Check your ring to see if it’s completely clean. If the soap and water didn’t do the trick, repeat Steps 1 through 3 using ethyl alcohol or ammonia instead of the soap. 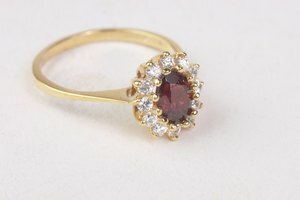 If there’s still no improvement, take your ring to a professional jewelry cleaner, who will either steam clean it or use an ultrasonic machine. To keep your white gold diamond ring cleaner for longer, remove it anytime you wash your hands or apply lotion. Professional jewelry cleaning can be expensive. Use this option only as a last resort. If you don’t have a microfiber cloth, a soft facial tissue can work too. 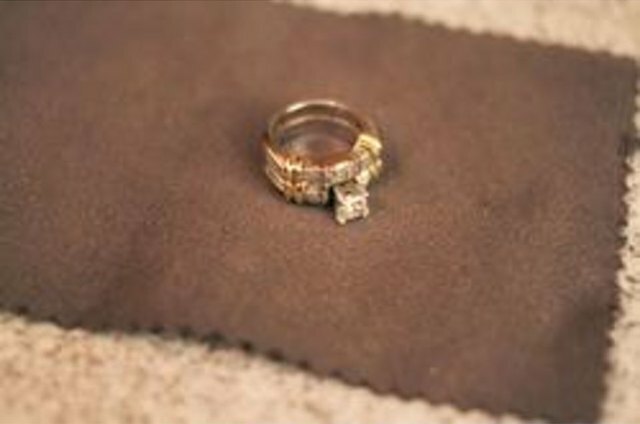 Never dry your ring with a paper towel or terry towel. The fibers from the towels can get lodged in the ring’s setting. 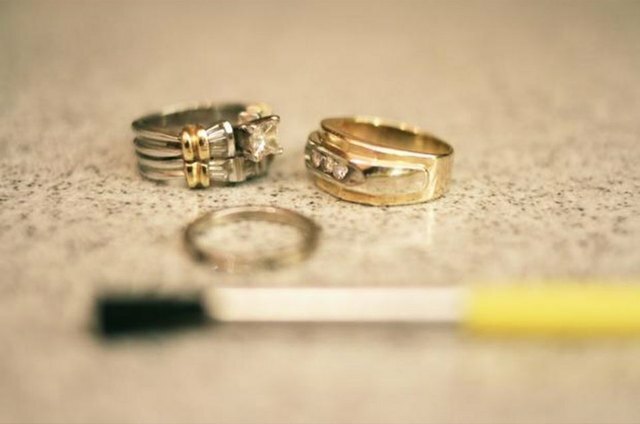 Don’t use abrasive cleaners or scouring pads on your ring. Either one can scratch the band and the diamond and potentially ruin them both.